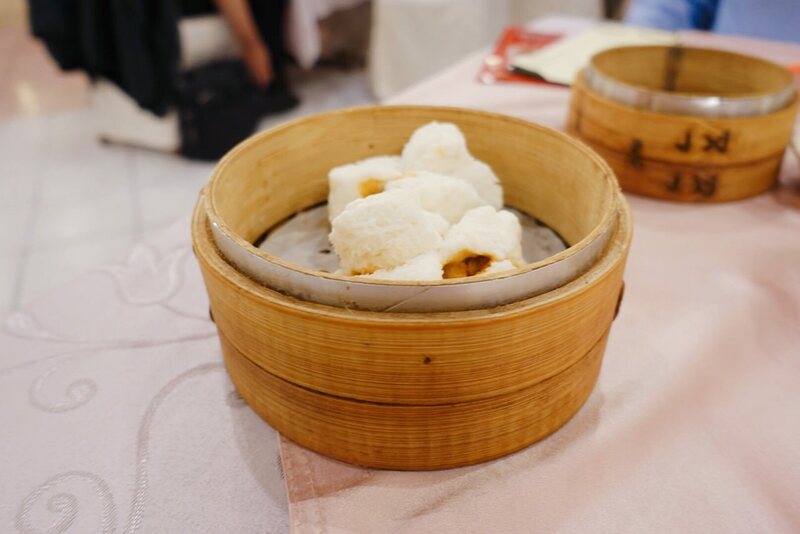 Golden Lion Cantonese Restaurant, which is located at Ximending, is one of the traditional Dim Sim Restaurants at Taipei city. It has been in business for over 40 years. 金獅樓港式飲茶位於西門町獅子林10樓, 多虧有人帶路, 我才能順利不迷路地抵達餐廳, 當時記憶最深刻的莫過於一整池的魚, 因為已經營業 40 多年, 整體裝潢雖然有些老舊, 但磚紅色主調讓金獅樓港式飲茶顯得同時擁有懷舊與氣派的格調, 與台北東區“雅苑港式餐廳” 明亮用餐氛圍不同, 放眼望去幾乎都是大桌客人, 相當適合家庭聚會. 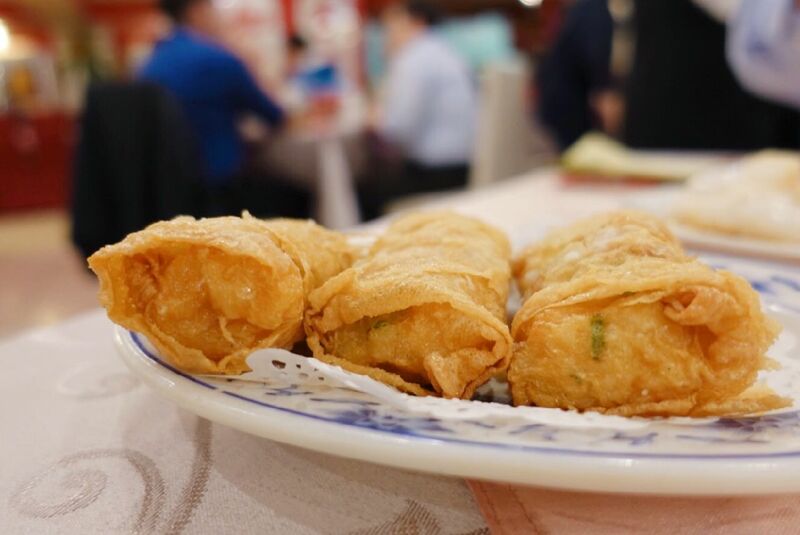 Golden Lion Restaurant has been in operation for over 40 years. 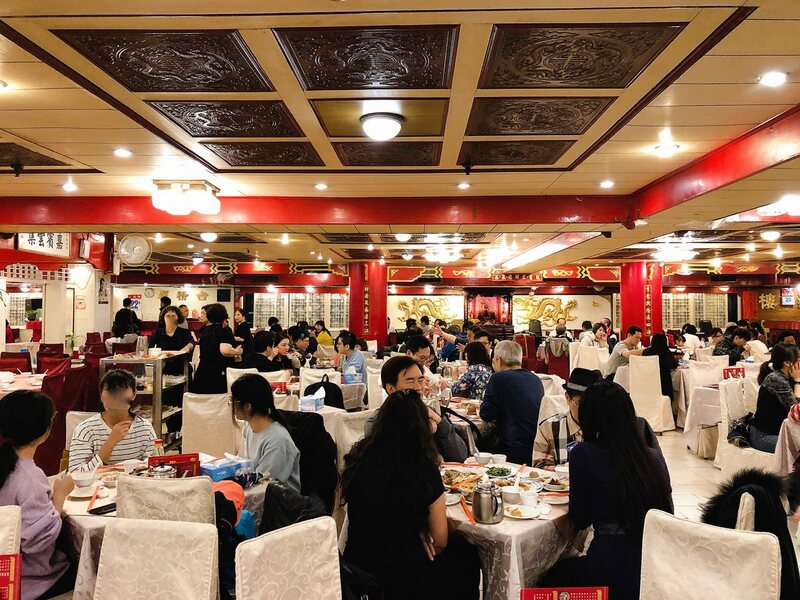 Its indoor design is just like traditional Chinese restaurant, which is dominated by brick red color.There are 2 traditional dim sim carts in the restaurant. 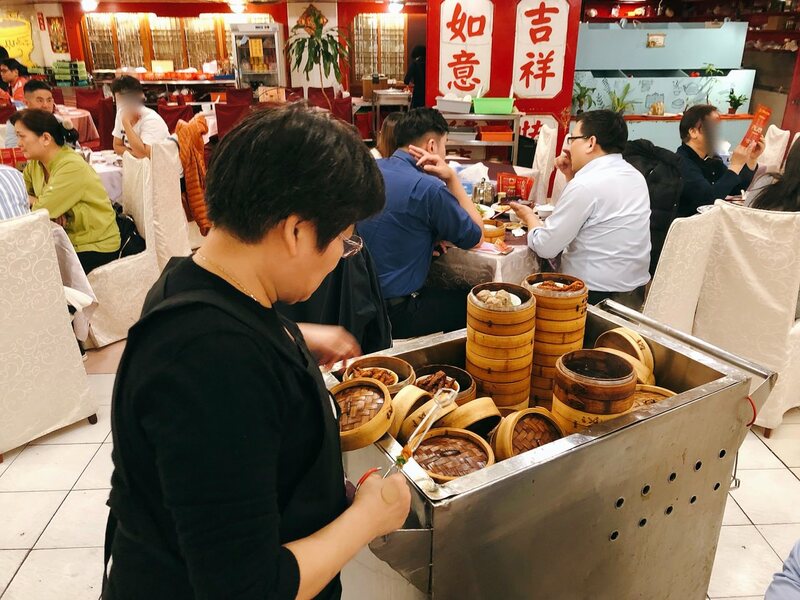 The dining environment is not as bright as “Ya Yuen Cantonese Restaurant”. With all the large tables, the Golden Lion Restaurant is suitable for family gathering. 當時用餐時間是晚餐, 一入座點完茶後, 觀察四週, 2 ~ 3 台傳統港式飲茶推車不停地繞著走道. 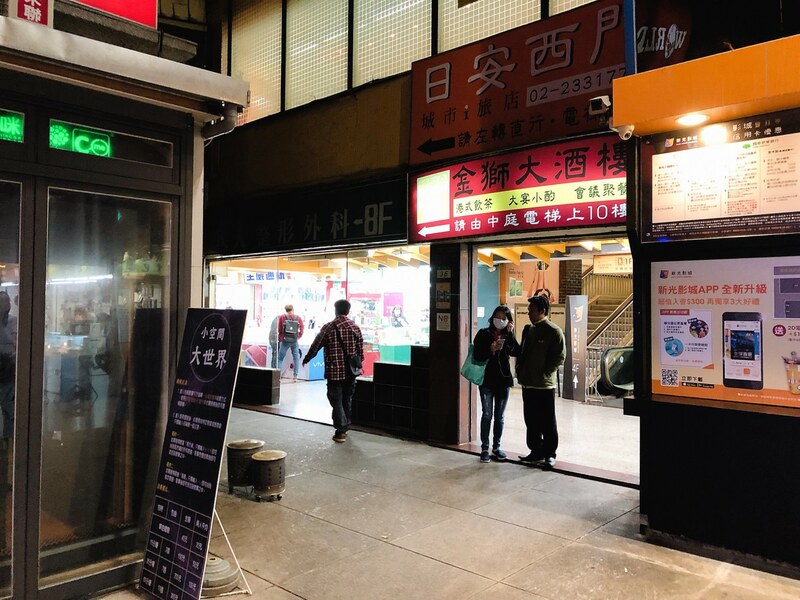 入座後, 店員告知客人購買 NTD $2000 金獅樓餐券可有一盤魚的招待優惠卷, 這次用餐即可用優惠卷和餐卷, 不用等到下次. 菜單有在”大安茗香園冰室”吃到的主餐, 也有多樣化的港式點心, 價格基本上有三種 (大中小點), 並沒有明寫各種點心的價格, 所以我沒有寫價格在以下Review, 老實說, 這種點法很容易就會超出預算. 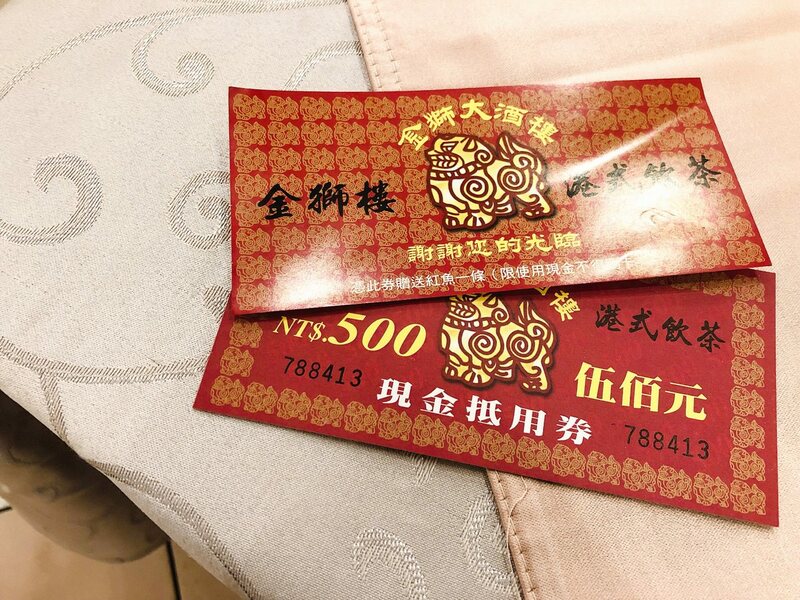 After seating, the staff would introduce the NTD $2000 coupon/meal ticket. 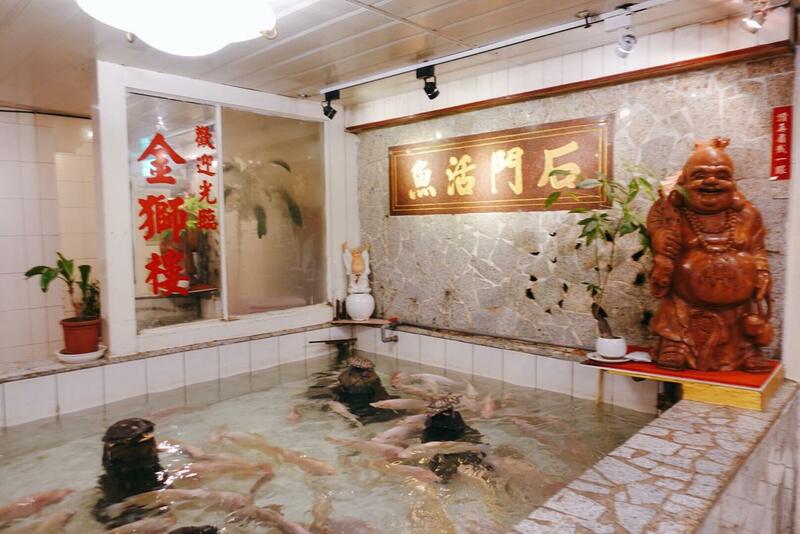 Its promotion is to get one fish dish for free.You use the coupon right away. 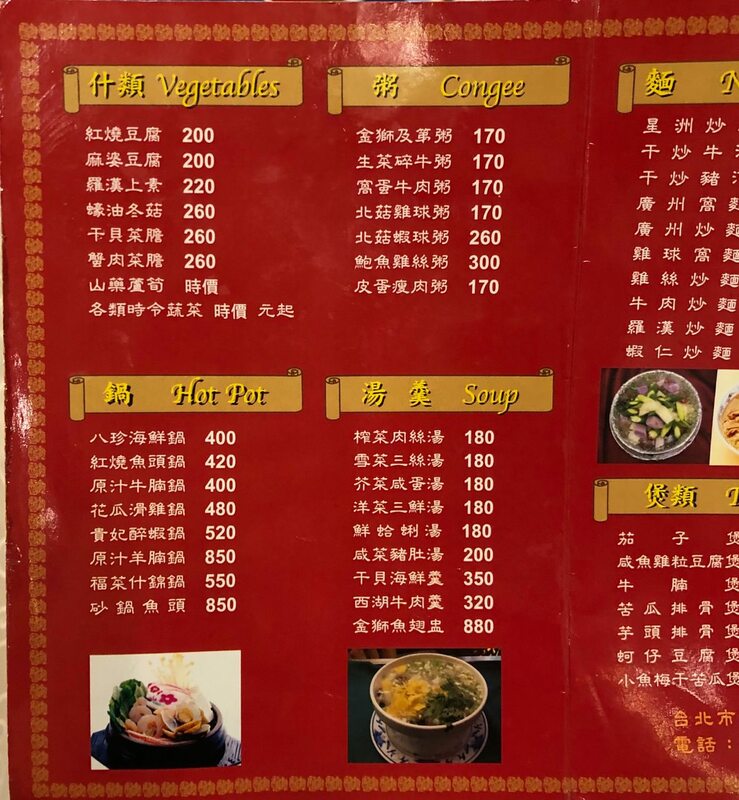 The menu has the main courses like at “Ming Shiang Yuan Cafe”. 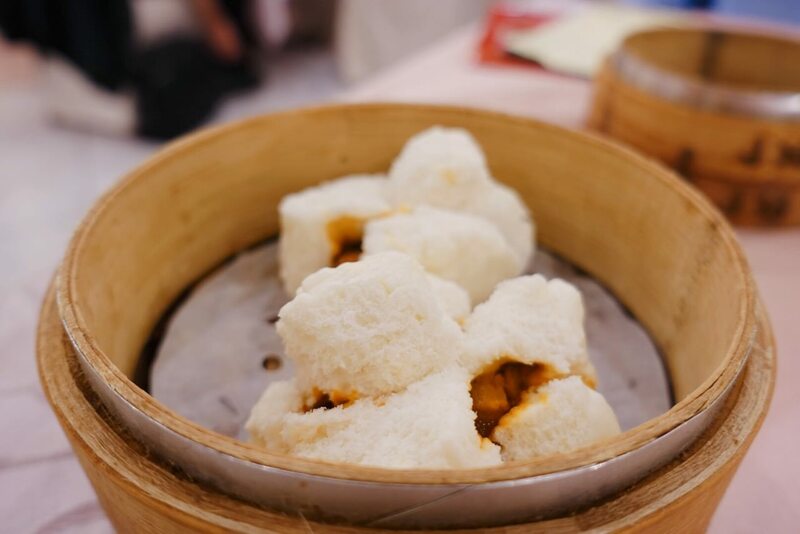 And there are various dim sim with three different prices. However, it doesn’t have specific details though. 當我看這一盤蝦仁腐皮卷時, 發現酥脆外表相當誘人, 一口咬下時, 竟然有響亮的ㄎㄠˇ一聲, 竟是意想不到的酥脆與燙口程度, 蝦仁內餡微脆而不膩, 整個組合完全已經擄獲人心, 這道蝦仁腐皮卷是我當天最滿意的菜餚, 三個蝦仁腐皮卷我包辦兩個, 我個人蠻推薦. 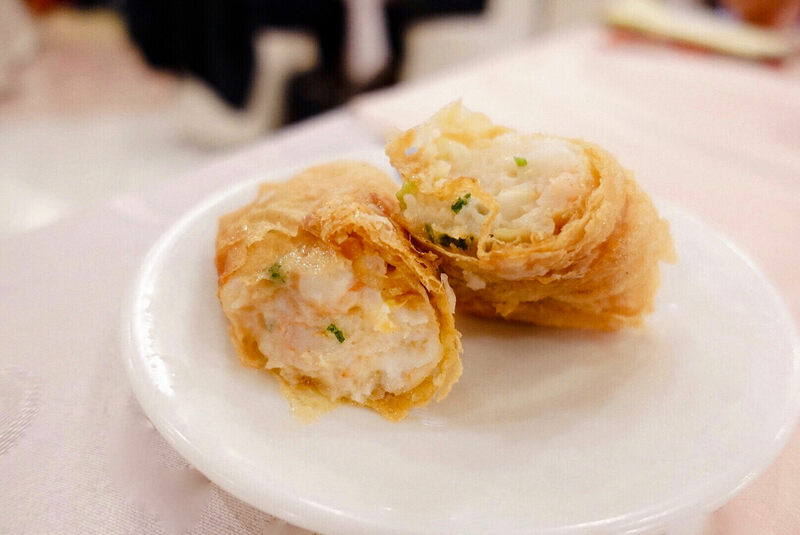 The appearance of this Spring Rolls stuffed with shrimps is quite eye-catching. The crispy sound is actually unexpected. 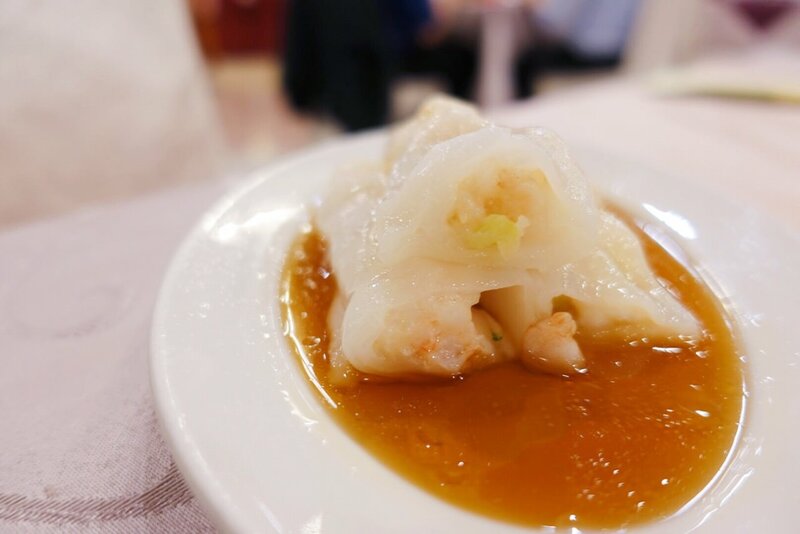 The shrimp filling is not mushy and yet quite dense. The combination is quite delicious. I personally think that this dish is my dish of the day. 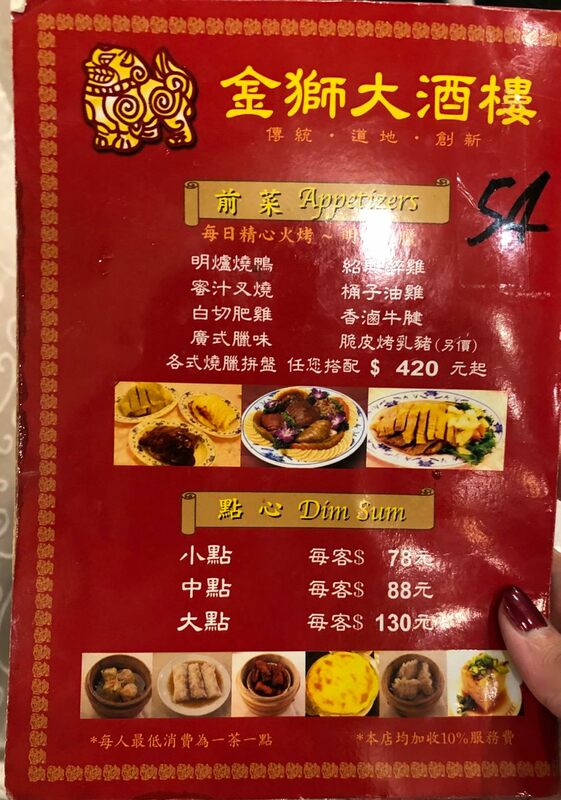 I would definitely recommend this dish. 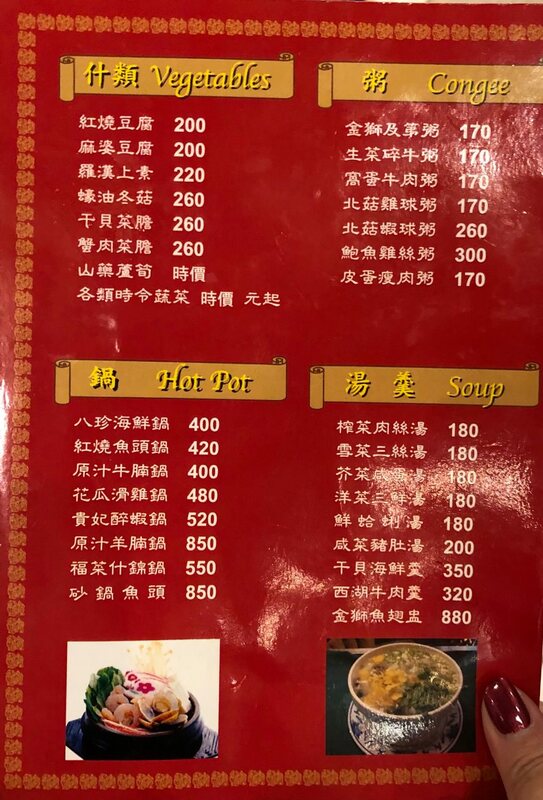 上次吃蘿蔔糕是在 “爭鮮點心道”, 並不是很滿意, 這次在金獅樓港式飲茶吃到的蘿蔔糕還算不錯, 主要原因是吃起來微脆且頗為紮實, 口感並不會軟爛, 偶而會吃到蘿蔔絲, 只是稍微有點微焦黑, 這大概就是所謂的第一印像看似不起眼, 卻吃起來不錯的港式點心. 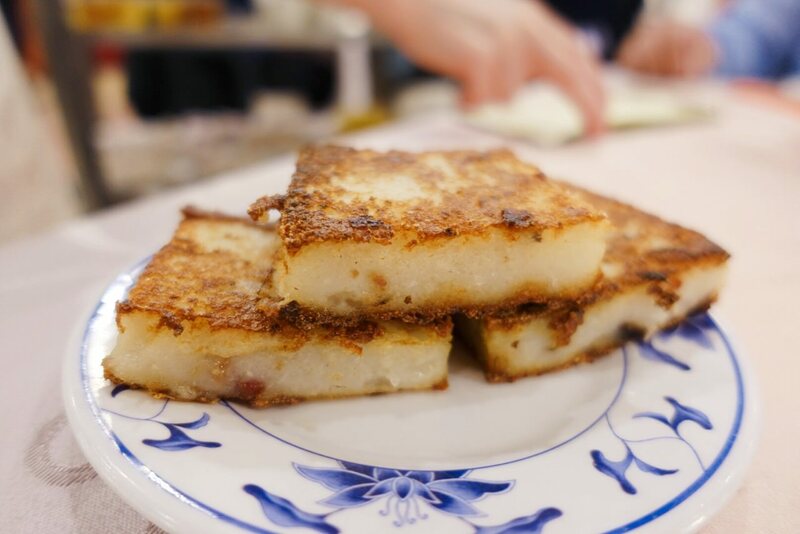 Last time I ate Pan-Fried Radish Cake at “Dim Sim Express”. 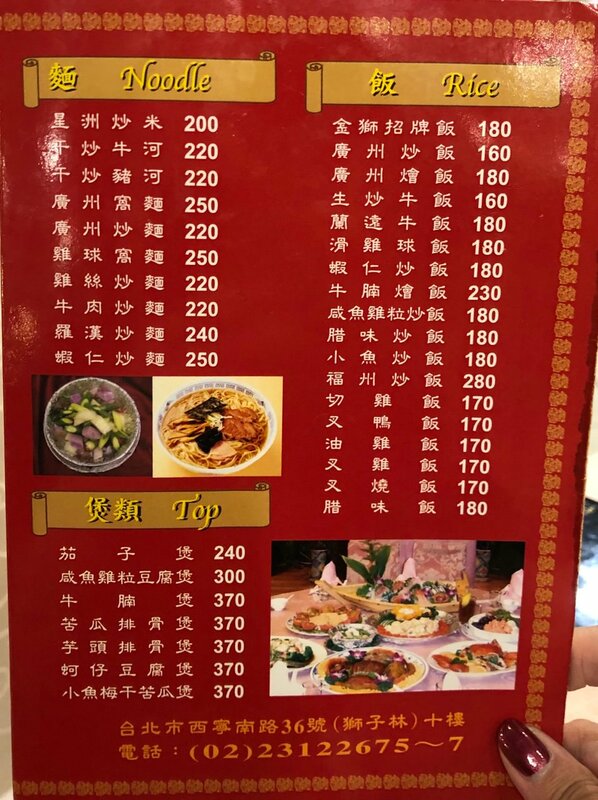 I wasn’t too found of their radish cake. 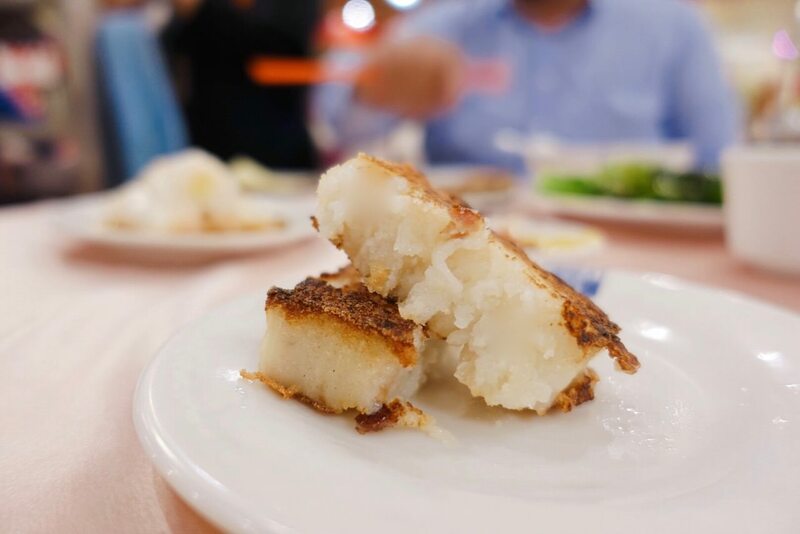 As for Golden Lion Restaurant, the radish cake is a bit crispy and dense at the same time. I can sense hints of shredded radish s well. My first impression was the appearance is a bit dark. But after eating, I found out this dish is pretty good. The bun isn’t too dry. And its BBQ Pork filling is not too thick nor hard. 我朋友點了鳳爪, 芥蘭, 粉蒸排骨, 我其實在美國港式餐廳 (例如: 三和餐廳) 就不太吃, 所以沒照相, 這次朋友點牛肉丸,我吃起來並不會過韌. 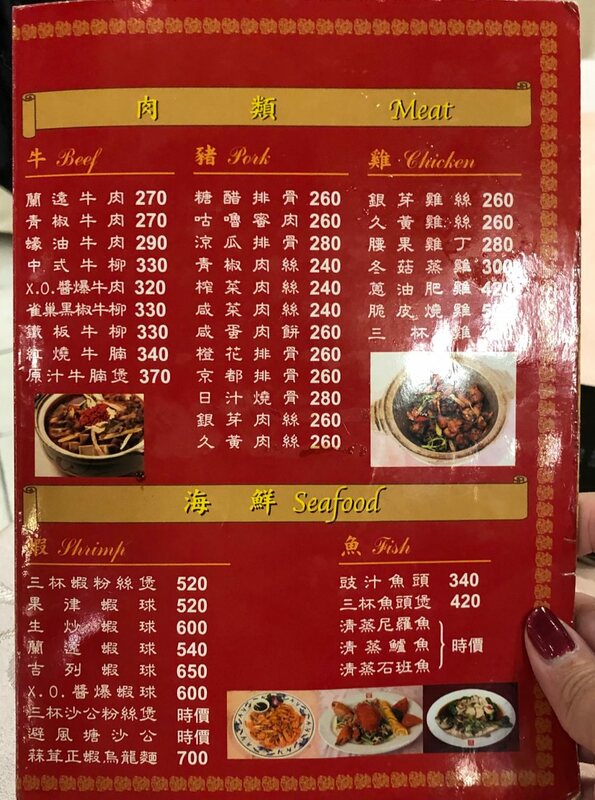 My friend ordered chicken feet, chinese kale and steamed ribs. However, I didn’t eat those dishes neither at USA Chinese Restaurant (for example: Sam Woo Restaurant). So, I didn’t even take pictures. 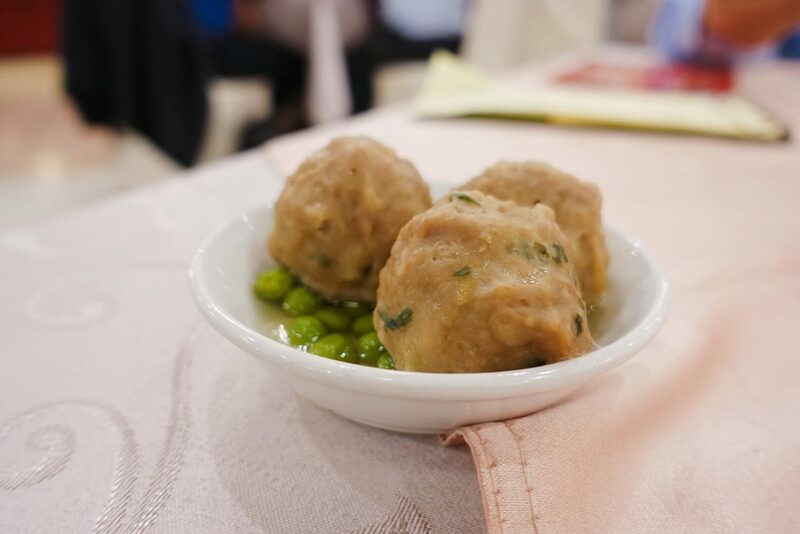 As for the steamed beef meatball, the taste is average. 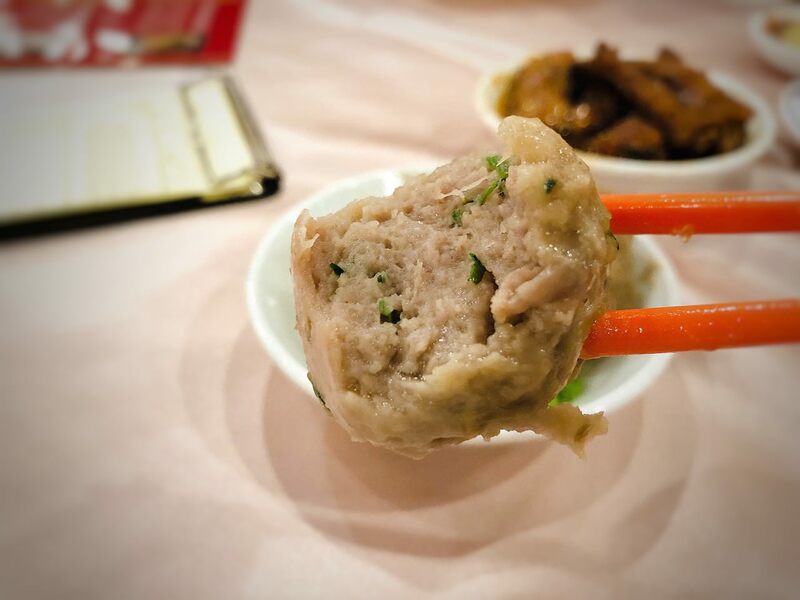 How can you not order Sui Mai at Cantonese Dim Sim restaurant? 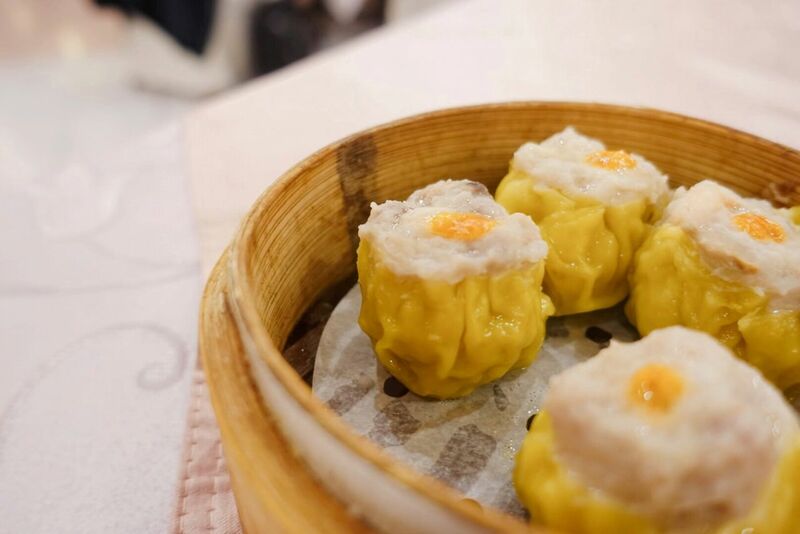 However, the taste of Golden Lion Sui Mai is average. 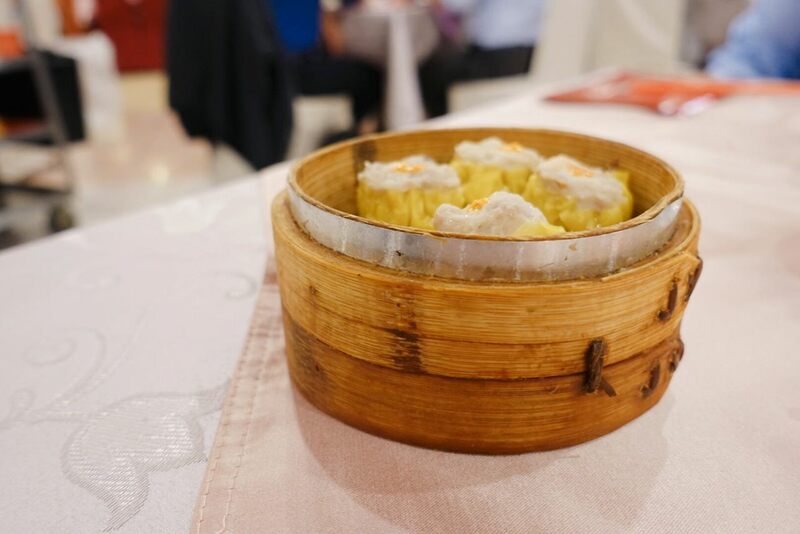 It is not as special as “Ya Yuen Sui Mai”. 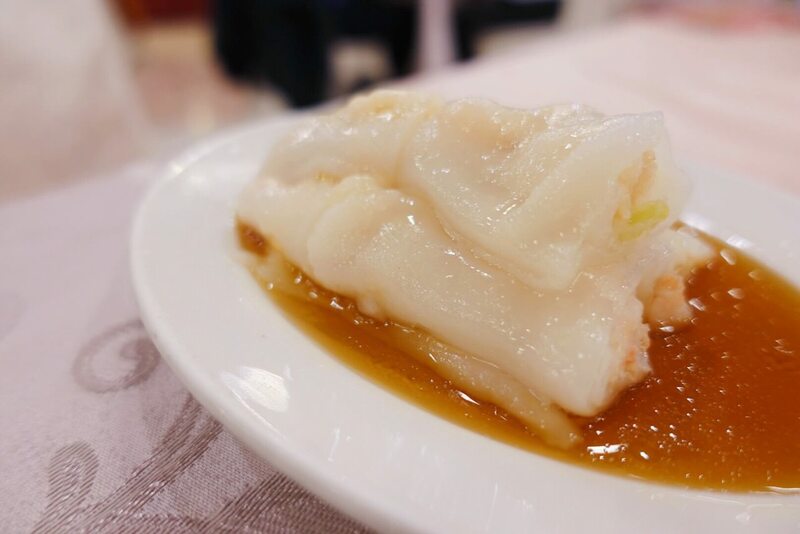 The rice roll is quite thick but without too much starch flavor. 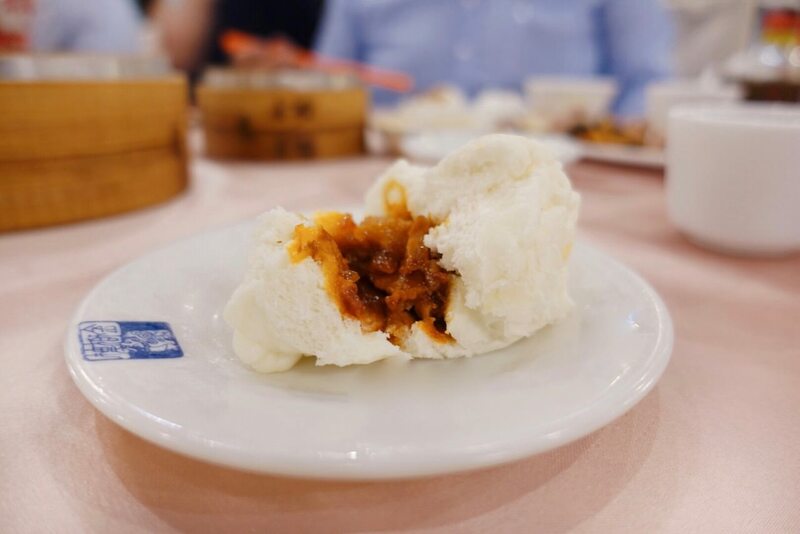 The shrimp filling is crisp.